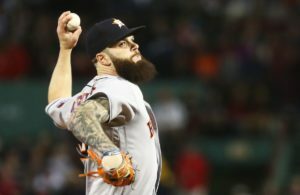 With just over a month until the MLB First-Year Player Draft gets underway on June 12, there is still a lot of uncertainty. But, the MLB Draft is starting to take some shape, especially towards the top. Here’s how the first-round of the MLB Draft looks as of May 5. 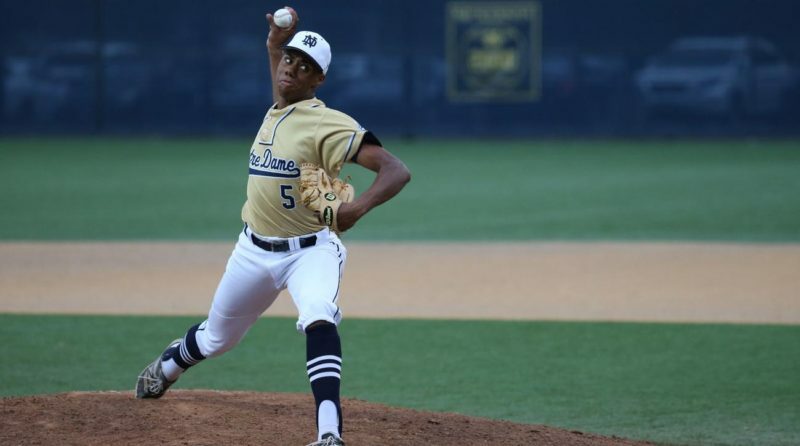 Hunter Greene could be the first prep right-hander ever taken No. 1 overall, but even if he isn’t, he will be a top three pick. The Padres are hoping Greene falls to them, but if he doesn’t, Royce Lewis or Vanderbilt right-hander Kyle Wright are options here. Kyle Wright is the top college right-handed pitcher in this year’s MLB Draft and has a potential to even go No. 1 overall. Wright still has a lot of room to grow and possesses frontline starter potential. Jordon Adell has five-tool potential and the best all-around tools in this year’s MLB Draft class. Although his primary position is in the outfield, Adell is also intriguing on the mound. A skilled outfielder, Jeren Kendall has intriguing tools, but his high strikeout rate concerns scouts. Adam Haseley has risen up draft boards this spring and has a shot to hear his named called in the first 10 picks. In 46 games, Haseley is hitting .399 with 12 home runs and 45 RBIs. For the second consecutive year, Seth Romero missed time due to a suspension. Teams will do their homework on Romero, but based on talent alone, he’s one of the top college pitchers in the 2017 MLB Draft class. Alex Lange has a track record of success as a starter and has an outstanding fastball-curveball combination. General manager Jerry DiPoto favors college players in the first-round. One of the top prep pitchers, D.L. Hall has a high-ceiling and would be a great value pick for the Tigers at No. 18. Keston Hiura is a legitimate college bat, but an elbow injury has limited him to DH duties all spring. One of the top college bats, Jake Burger is hitting .363 with 18 home runs and 49 RBIs this spring. The Dodgers are looking for a high upside player and Heliot Ramos fits the bill. Ramos is strong, athletic and has impressive power potential. The Red Sox have selected a prep player in the first-round each year since 2012, besides when they drafted Andrew Benintendi in 2015. Bubba Thompson is the best athlete in this year’s MLB Draft class and is rising up draft boards. A strong spring has vaulted David Peterson into the first-round. 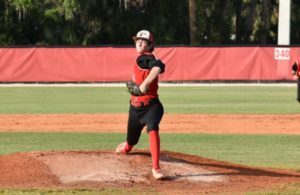 A 6-foot-6, 240-pound lefty, Peterson has been a complete pitcher, impressing scouts this spring. 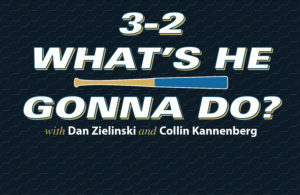 If the Blue Jays take a pitcher with their first pick in the first-round, it will allow them to take a high-ceiling prep bat with their second first-round choice. Jacob Heatherly is an underrated prep left-hander with four solid offerings. 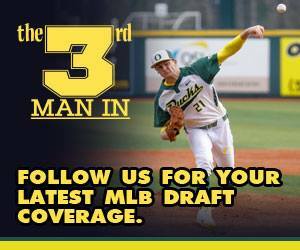 Read my MLB Draft profile on Heatherly here.